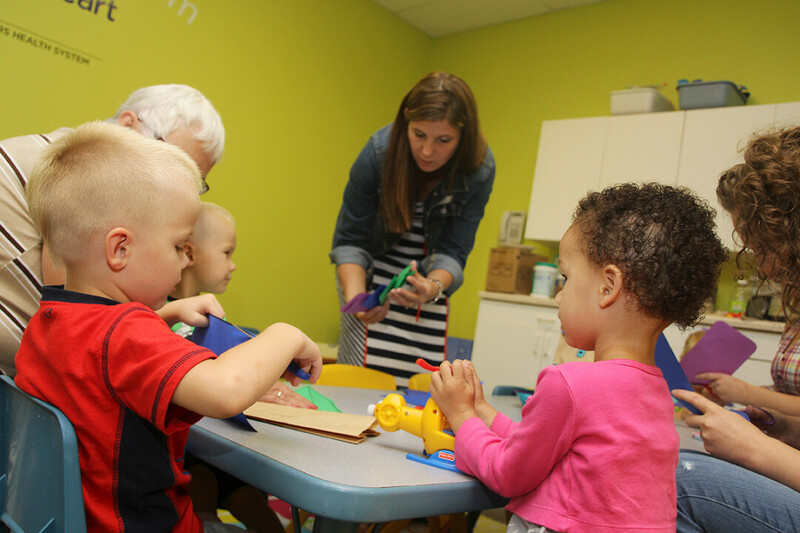 Children take part in a play ‘n learn group at the Family Resource Center in Eau Claire in these 2014 file photos. For nearly 20 years, the Family Resource Center has provided resources and connections for parents and children in the Eau Claire area. 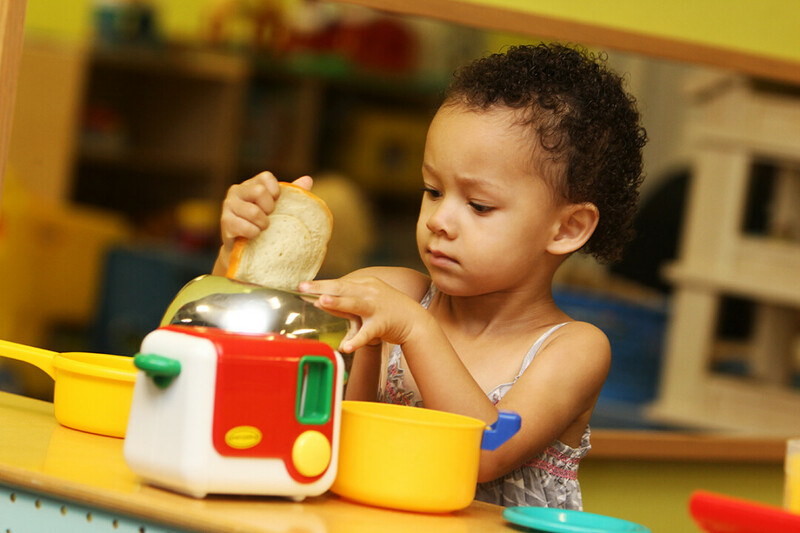 From parent education classes to home visits by trained parent educators, from Play ’N Learn groups to a toy lending library, the Family Resource Center has helped strengthen countless families of all sizes, kinds, and income levels. If you pass by the center in the Sears wing of Oakwood Mall, you’re likely to see young children and their parents taking advantage of “drop in and play” hours where they can learn and both with each other and other families. Rachel Hart-Brinson discovered the Family Resource Center in 2012 shortly after moving to Eau Claire with her husband and infant daughter. The center was a blessing to her young family. “The playgroups were the place where I had adult interaction, and it was key,” she recalls. “Once I started doing playgroups there, I didn’t miss a session. … It was a good place to observe other parents and their parenting styles, and also to get my adult conversation fix.” For six years, the Family Resource Center has played a big part in the lives of Rachel and her children, Emma and Eli. The Hart-Brinsons’ story isn’t unique: Dr. Jennifer Eddy was first introduced to the Family Resource Center when her son, who’s now 16, was about 3. She has been on the organization’s board of directors for about 12 years, and since April has served as executive director. “A big part of our mission is connecting parents with what they need,” Eddy explains. Now, however, it’s the center itself that has a big need: A steep decline in funding this year has posed a serious challenge for the organization. The biggest hit came earlier this year when the United Way of the Greater Chippewa Valley announced its grant recipients for the coming three years. The Family Resource Center, which had received $98,000 annually from the United Way between 2015 and 2018, was not among them. This meant that, as of July 1, the Family Resource Center was losing about half of its budget. The Family Resource Center took quick action, laying off its executive director and administrative director and limiting hours for the remaining paid staff of two (another employee is on furlough for the summer). The agency is relying more on volunteers: For example, Eddy isn’t taking a salary as executive director. Some programs and center hours have been scaled back, and the center is reaching out to other agencies that serve children and families to develop creative partnerships to continue to serve its clients. It is also looking for new grants and gifts, and has received nearly $20,000 in donations since April. “I’d like to grow our way out of this,” Eddy said of the agency’s funding shortfall. While she wants the hundreds of families who use the center to be aware of the budget crunch, Eddy also wants them to know that the Family Resource Center will continue to work hard to meet the needs of all families in Eau Claire and Dunn counties. All services – except for one online parenting class – will continue to be offered free of charge. This includes the First Connections program, which brings a resource educator into local hospitals; “drop in and play” hours; the Nursing Nook, where nursing mothers and babies can find a quiet place; the toy lending library; Play ’N Learn groups in Altoona, Fairchild, Augusta, and Fall Creek; Parents as Teachers home visits by trained parent educators; and more. Listings of family-related civic news, schools, non-profits, business, cool kids stuff and local trips.